Very important note: You can NOT, until Rasteve finished his new tool, edit graphics with a 64-bit computer. Also this tutorial describes the process with using an older version of paint. It doesn't work with the paint on windows7 computers. I don't know about vista. Newer versions will allow you to do most things, except one thing. Automatically changing colorpalettes. There are other ways to do this, but I don't know these. And back up your files! 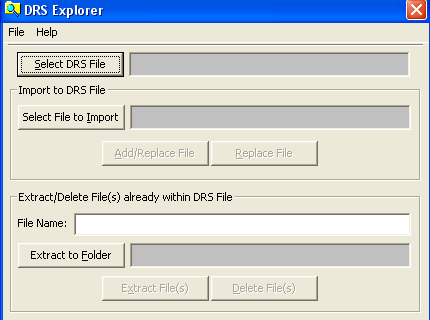 Step 1 - Install slp studio and if you want also drs explorer by following the instructions in their manual. step 3 - The graphics of aoe are located in the graphics.drs (note that there are two, one in data with aoe graphics and one in data2 with RoR graphics. In slp studio click file and then choose open (marked by red arrow). Find the data2(or data) folder in the open menu and either double click graphics.drs or select graphics.drs and press "ok" button(marked with red arrow). 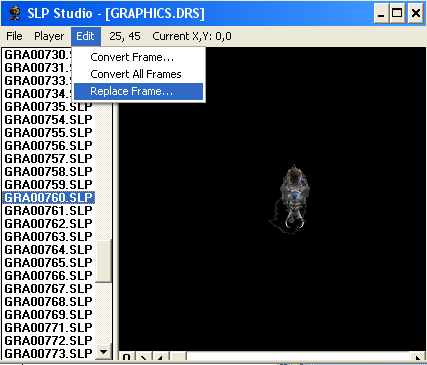 Step 4 - Double click GRA00760.SLP and it will load all frames inside this slp file. You can navigate through those frames with the play, pause and arrow-buttons. Step 5 - Let's just take the very first frame. We want to edit this one. Make sure that you see the first frame and then choose "edit" and then "convert frame" (Img7). Now select a map you want the frame to be put into (in my case the map "tutorial"). Hit the "OK"button. Step 6 - Close slp studio and go to the map you've put the frame in (in my case the map "tutorial"). 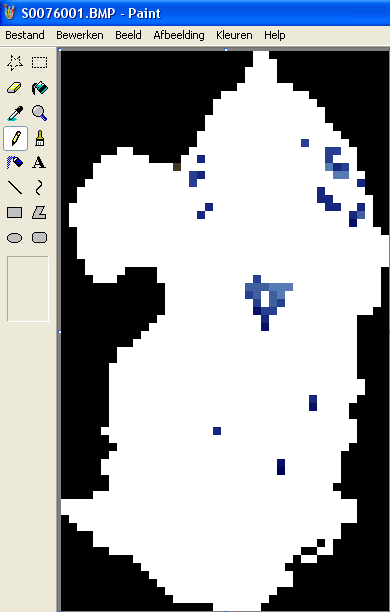 Copy the file named G0076001.BMP and paste it in the same map. Rename the copy to original.bmp. Very important, you'll need it later. It should look like this. 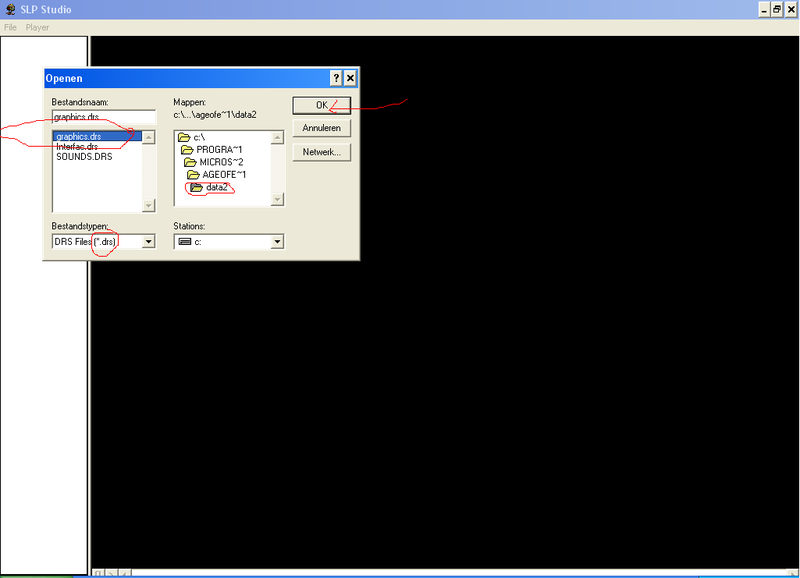 Step 7 - The frame has been put into 3 separate files with different purposes. Let's take a look at these files. 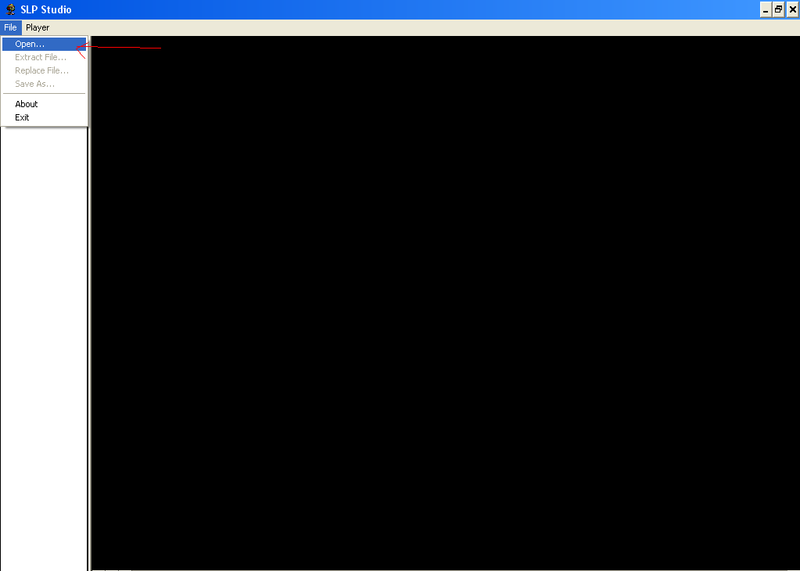 C0076001.TXT should look like this. The name has the 5 numbers also used in the slp file followed by two that mark the frame number(this is the first frame so it's 01). Inside this txt file there are only two numbers. These are the coordinates. I'm not very sure how this is done. With humangraphics I usually choose a point on the foot. The numbers correspond with the x-pixel and the y-pixel (if you move the mouse inside paint you'll also see these numbers changing. Next we have the G0076001.BMP. This is the graphic as you know it from the game. Nothing more, nothing less. Last, we also have the S0076001.BMP. This is basically an outline of the unit. 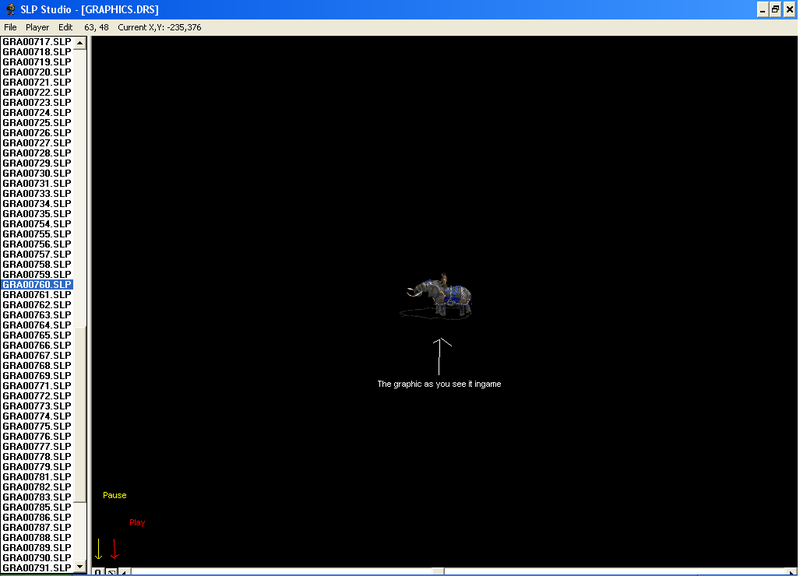 It's a copy of the G0076001.bmp, but now with the armored elephant made white. Only the player colors can still be seen. 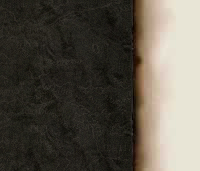 Somehow aoe will recognize the player color and change it to for example red if you play as player two. This means that you don't have to make all the player colors yourself. Just the blue one will suffice. Step 8 - Let's start editing the G0076001.BMP. Zoom in as far as possible. You will now see pixels, rather than a smooth graphic. Make some changes like this. 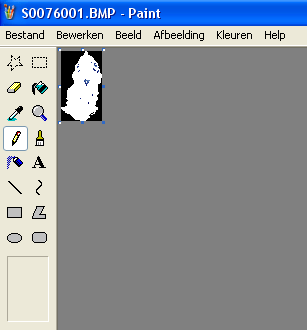 Save your work and still have G0076001.bmp opened in paint. Now choose "save as" and change the letter "G" to the letter "s". Choose overwrite. Now we need to make a new s.bmp file that matches the changes. You can see the blue pixels(player color). Start making white lines AROUND them. 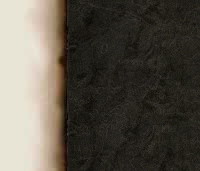 Then make the border between the black and the graphic white too. Should look like this. Then continue making the rest white. Should look like this. Save your work. Step 9 - This trick only works in paint (older versions). You still have S0076001.bmp opened in paint. 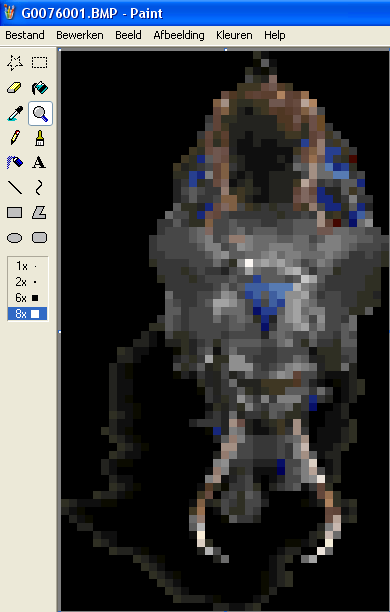 Select the entire image (so from pixel 0,0 till the last pixel of your image (in this example 40,69). Choose copy (ctrl c). Close S0076001.bmp. 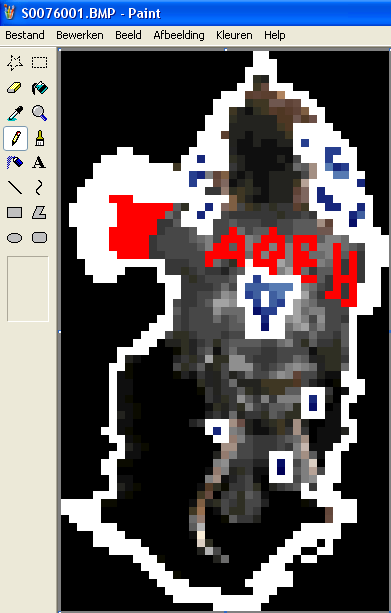 Open original.bmp in paint. Choose paste(ctrl v). Choose save as. Save it under name S0076001.bmp and choose overwrite. Exit paint. Why do this? Aoe can only read certain color palettes. 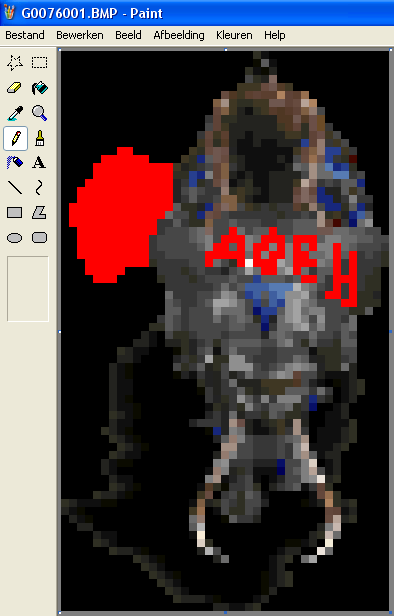 By copying the changes picture over an original aoe picture older versions of paint will automatically change the colour palette to the original aoe colour palette. If you don't to this slp studio will give an error and your graphic wont work. 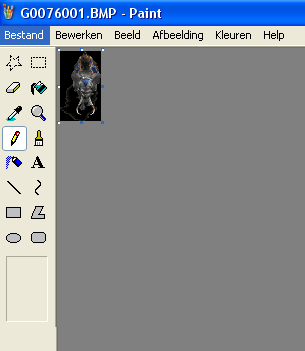 If you do not have a correct version of paint, try other things with GIMP. Some programs allow you to choose a certain palette yourself. If you know how to, please tell me. Step 11 - You're done for this frame (unless you want to choose new coordinates for your image, but that's not necessary in this example). Now you have two options: Add a entirely new slp, or edit an existing slp. Step 1 - Open slp studio and open up the graphics.drs from either data or data2 (depends on where you're graphic is located. In my example of slp 760 it's data2). Step 2 - Go to slp 760. Choose edit and then choose replace frame. Step 3 - Browse to folder where you're edited files are located (in example the map "tutorial"). Step 4 - Select the G0076001.BMP and hit the ok button. Step 5 - Inside slp studio, choose save as. Save GRA00760.SLP inside the folder "tutorial". 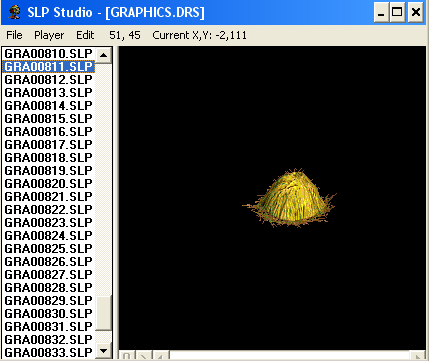 Step 6 - I'm not sure if you have to, but exit and reopen slp studio and again open graphics.drs. Go to slp 760. Chose file and then replace file. In this menu browse to "tutorial" and select GRA00760.SLP. Hit ok button. Step7 - Save your changes to graphics.drs. Step8 - Play the game in see the change. For this you don't need data editing. Step 1 - Open slp studio and open graphics.drs. Scroll down as far as possible. Notice that slp 810 is the last one. Our new slp name will thus be: GRA00811.SLP. Step 2 - Choose an existing slp file with exactly the same number of frames as you have in mind for the new slp file. We only made one new so We could pick a building slp or a tree slp. I chose slp 248. Choose file and then extract file. Save the Slp in the map "tutorial" under a new name: GRA00811.SLP. Step 3 - Close slp studio. Now start slp studio again. Open GRA00811.SLP. It only has one frame (of a ruin). Go to the map tutorial. Rename the files from 76001 to 81101 (so G0081101.BMP etc). Go back to the still open slp studio. In the "edit"menu, choose "replace frame". Select G0081101.BMP. Hit ok button. Step 4 - Save GRA00811.SLP. Step 7 - In the box "select file to import" browse to GRA00811.SLP. After steps 6 and 7 it should look something like this. 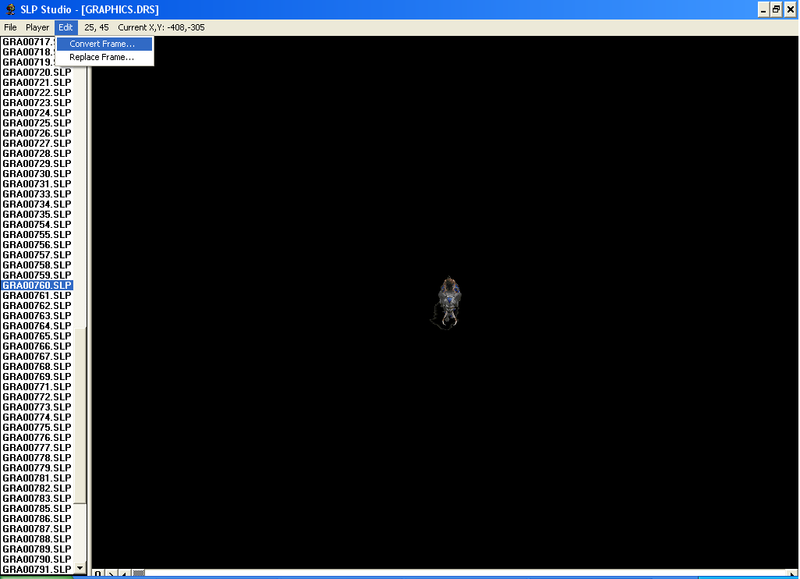 In this picture you see my graphics.drs from data2 after I added some aok graphics. My GRA00811.SLP is the haystack from AoK.